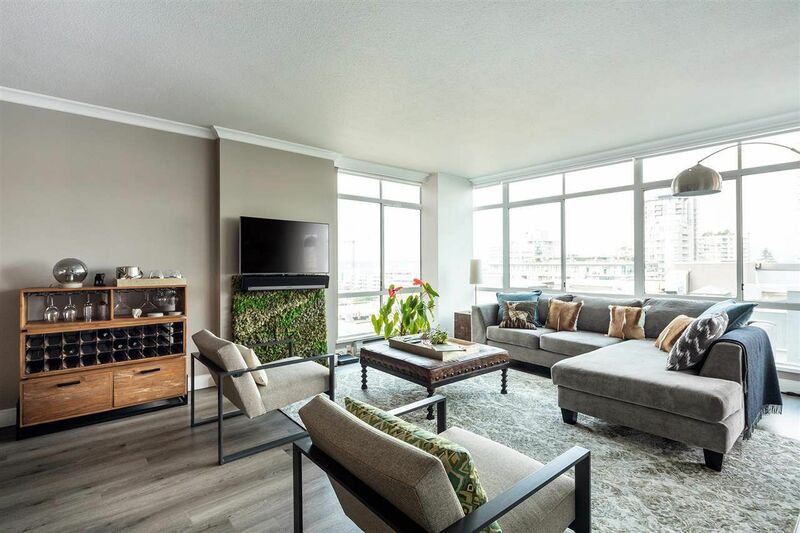 Tastefully renovated with designer styling throughout, this South-West facing 2 bedroom condo in the hugely desirable Olympic Building is a must see. The Olympic is known for its solid concrete construction, wonderful floor plans, maintenance and great location. Situated one block east of Lonsdale, you are right in the heart of vibrant & thriving Lower Lonsdale, with all the cosmopolitan conveniences it has to offer. The condo is flooded with natural light from the large windows & has water & mountain views to die for. Additional features include; beautiful stone counter-tops, 2 side by side parking stalls, a storage locker and bike room.